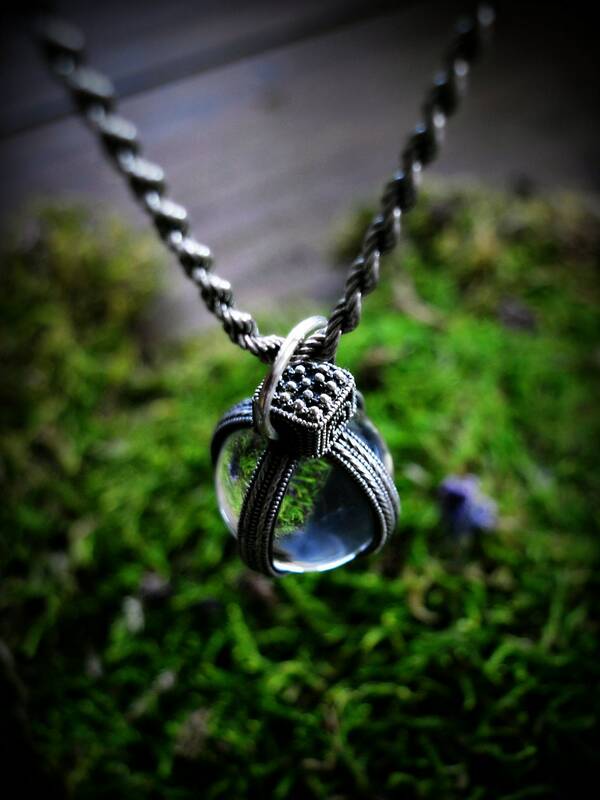 Large, stunning and eyecatching crystal ball in a meticulous silver filigree cage. Amazing example of Ancient jewellery art. A faithful replica of a find from Cologne, VIth century. 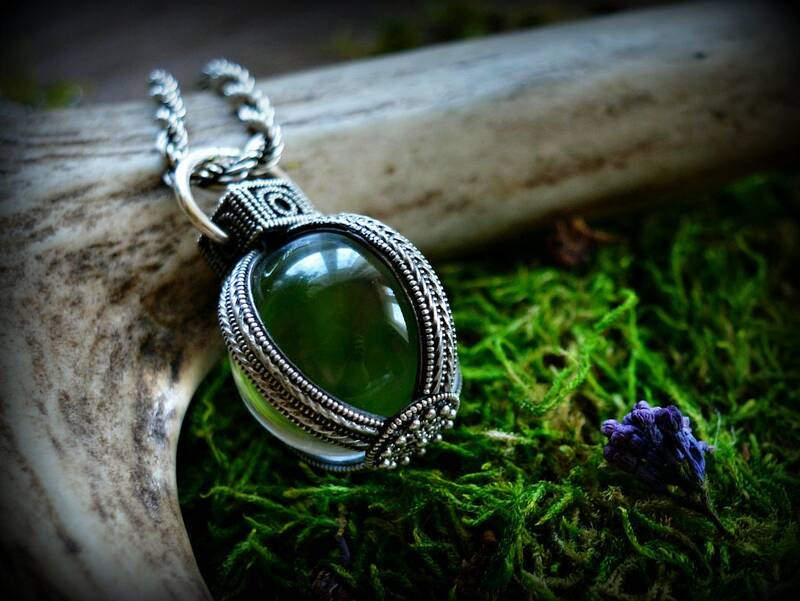 The original pendant was found in cathedral in a grave connected to Wisigard, princess of Longobards. Such pendants are know from both from Western Europe and Anglo-Saxon territories. 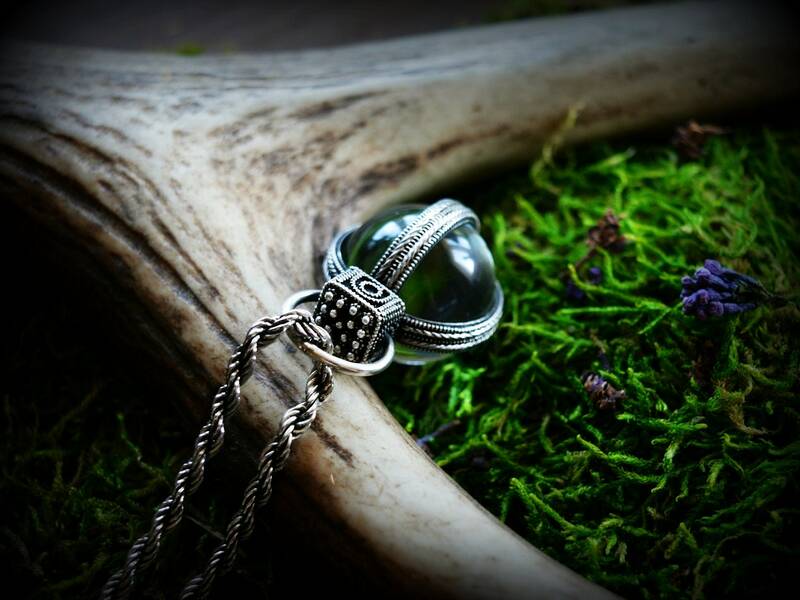 Crystals were believed to have strong protective and healing power. Made entirely of sterling silver crystal glass. Size : 2.5 cm x 3.5 cm! Due to my travel to medieval event in Denmark, shipping will be after 24th of June.